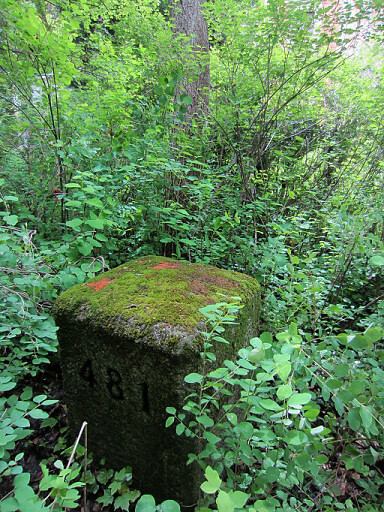 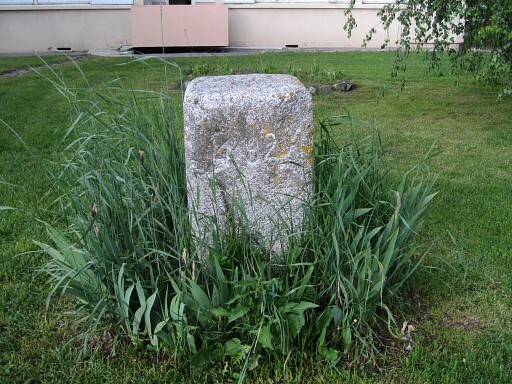 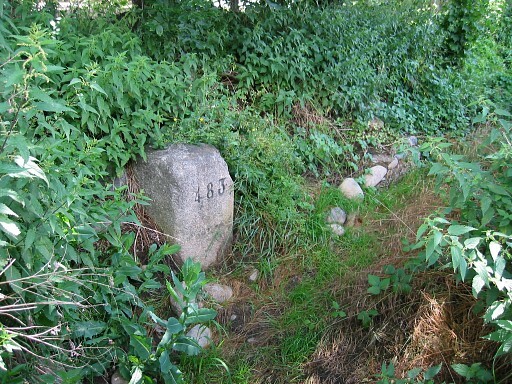 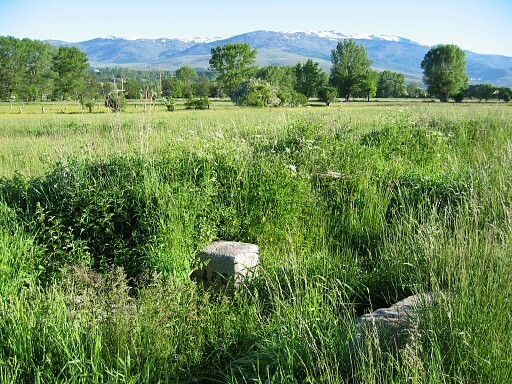 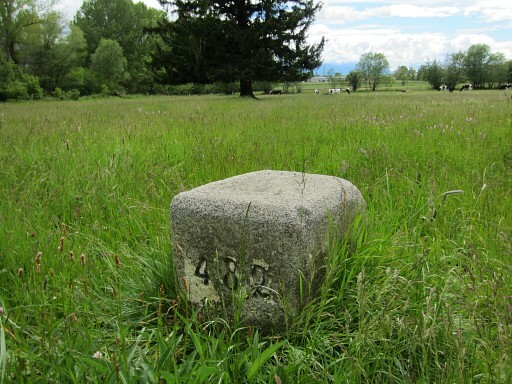 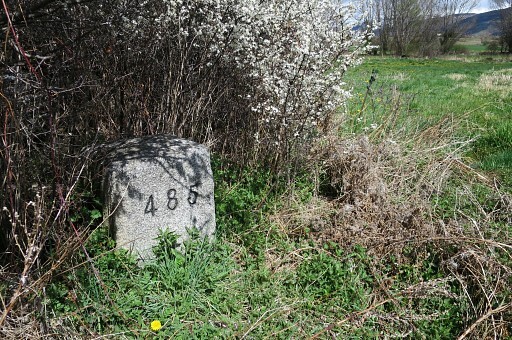 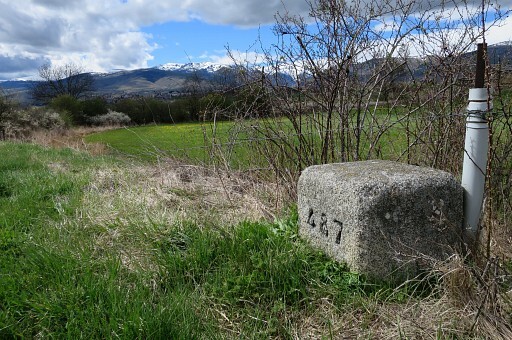 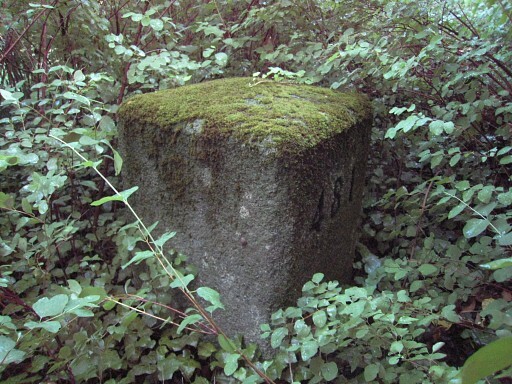 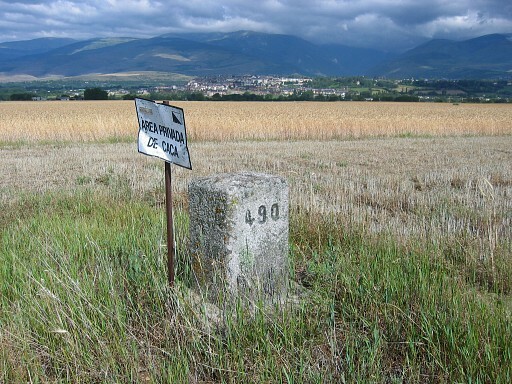 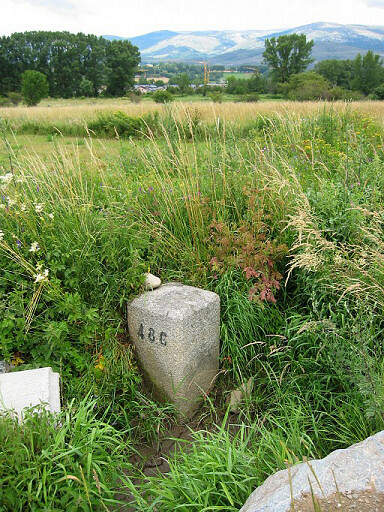 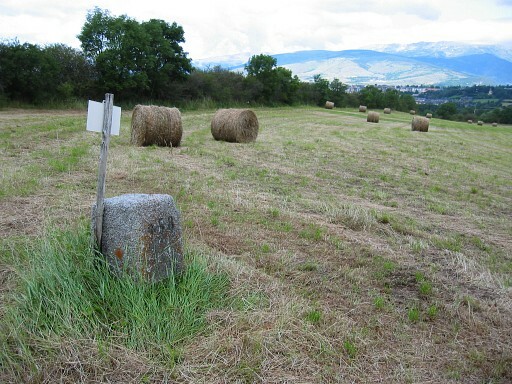 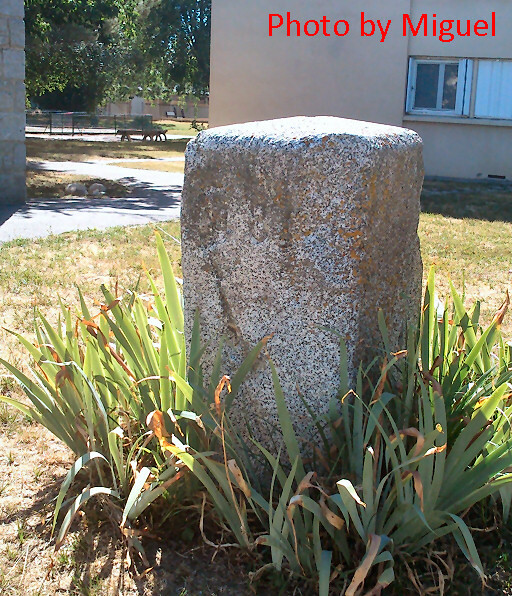 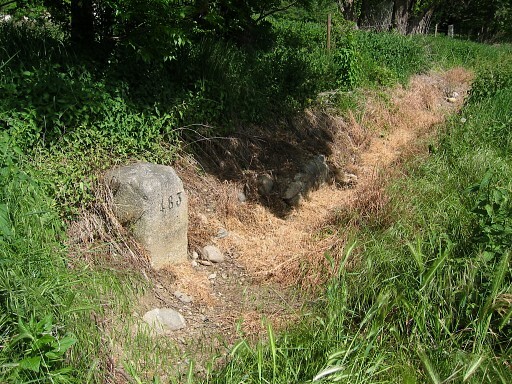 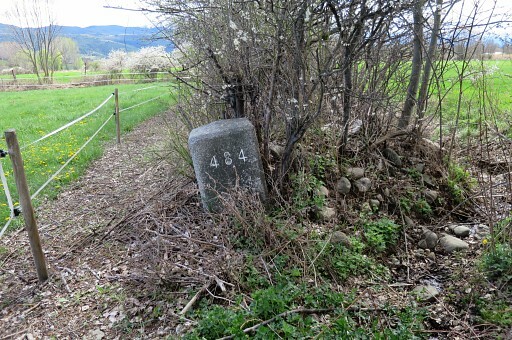 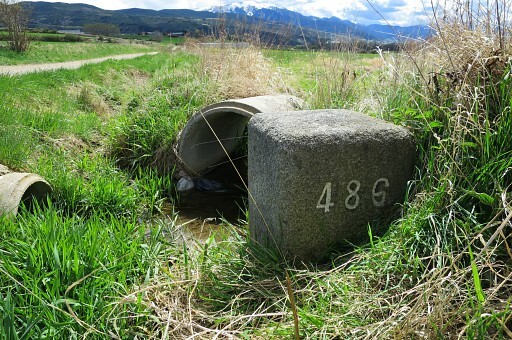 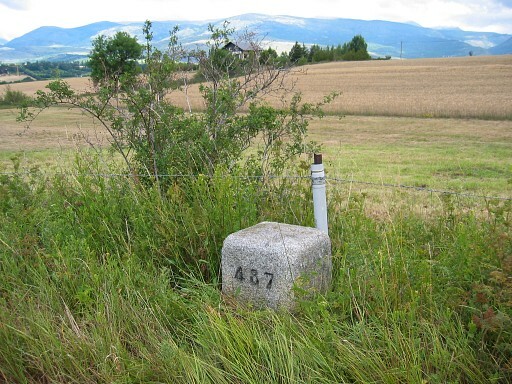 Bm481 - old marker, French side. 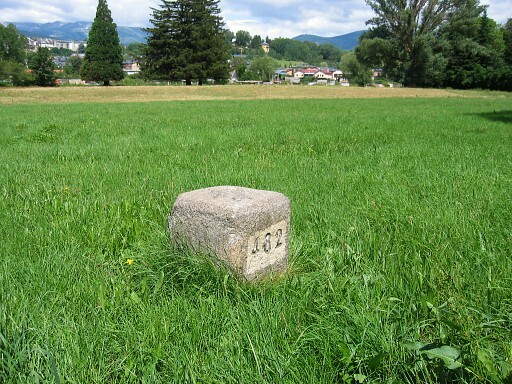 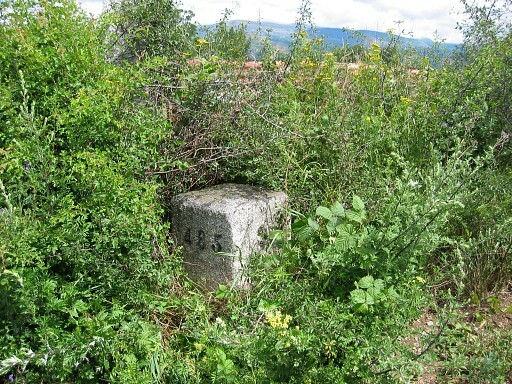 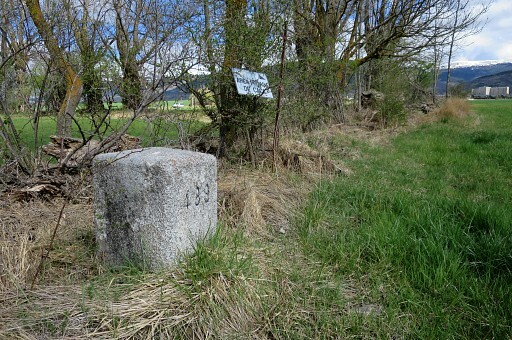 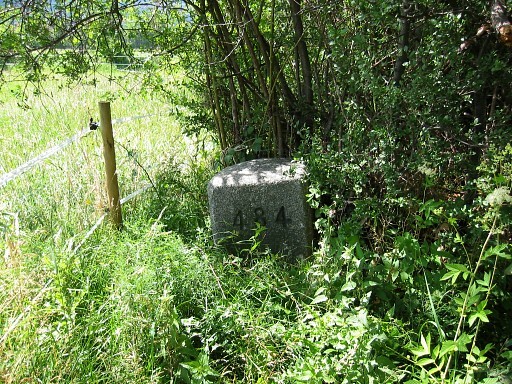 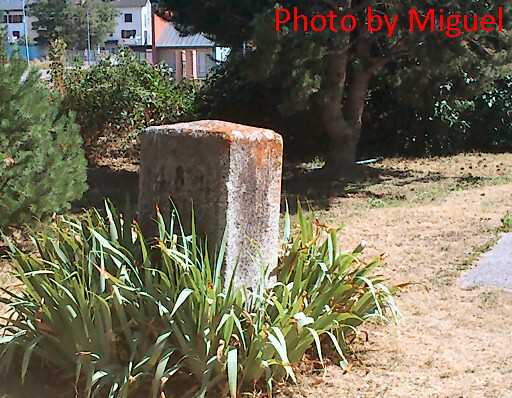 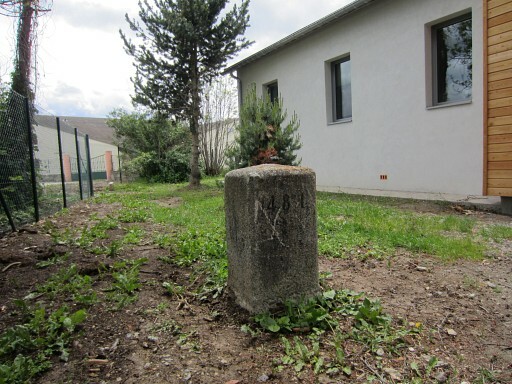 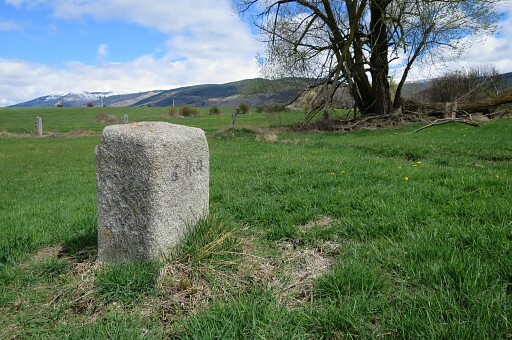 This is the original bordermarker, now stored on the premises of the French customs in Bourg-Madame. 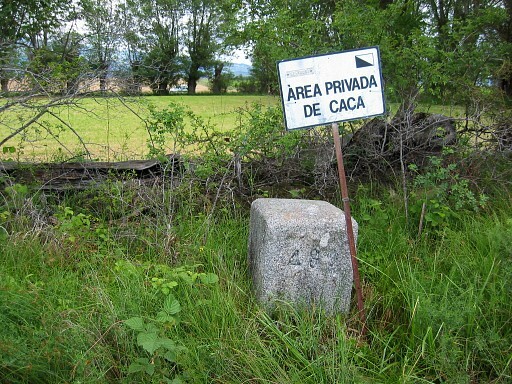 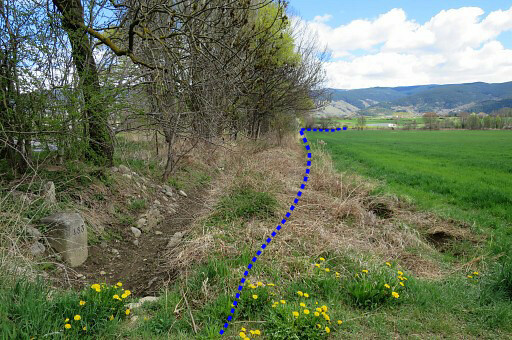 This picture was kindly sent to me by one Miguel from the village of Err nearby. 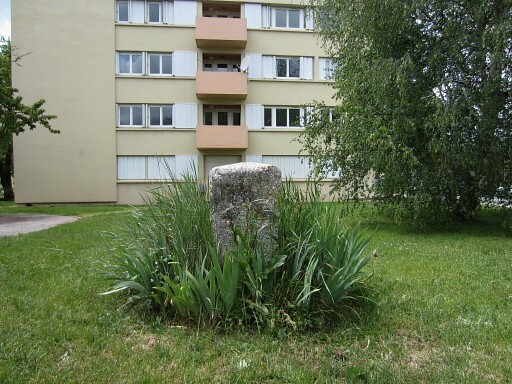 The premises can be visited on this adress: Rue des Narcisses 66760 Bourg-Madame. 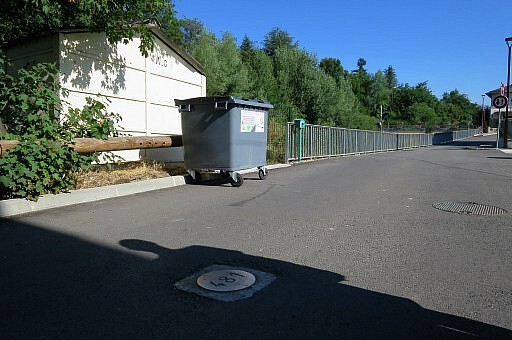 Just walk onto the premises and take your pictures. 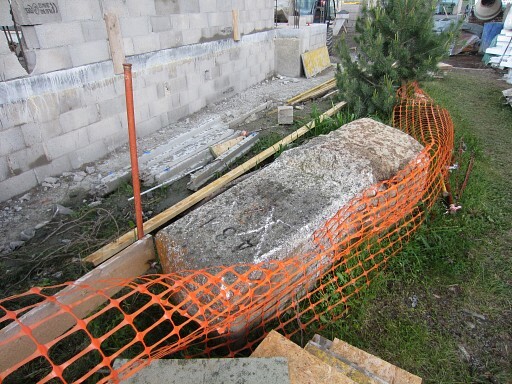 A new office/garage is being built and bm481 has put aside for the time being. 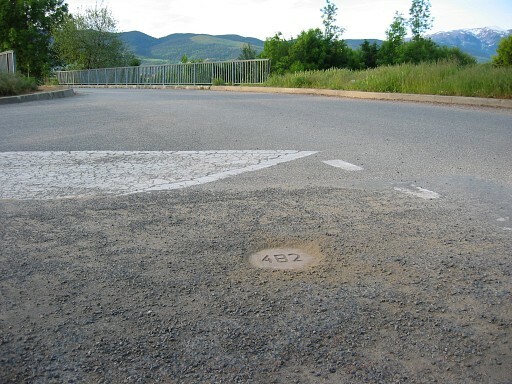 In 1996- probably when the road was constructed - this replacement-plaque was put on the original spot. 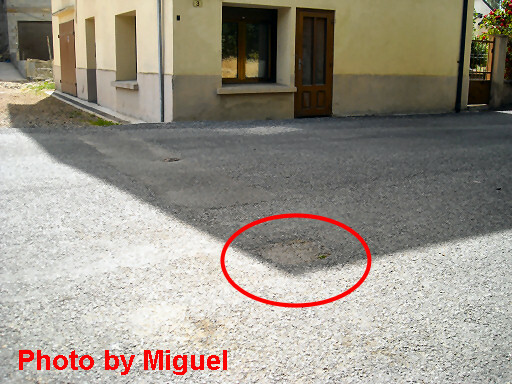 But in june 2012 I received this picture of one Miguel, living in Err. 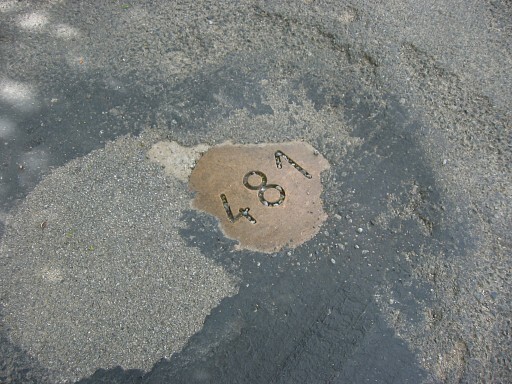 The new tarmac surface has covered the bronze plate of bm481. 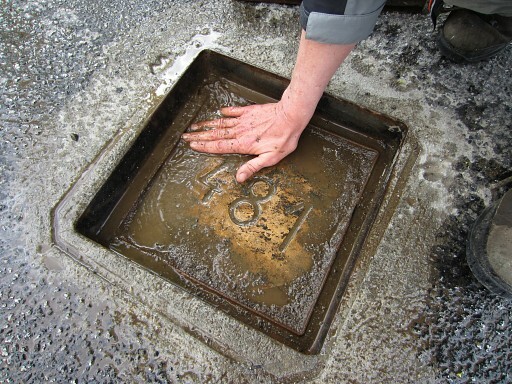 The plaque is now again at the surface. 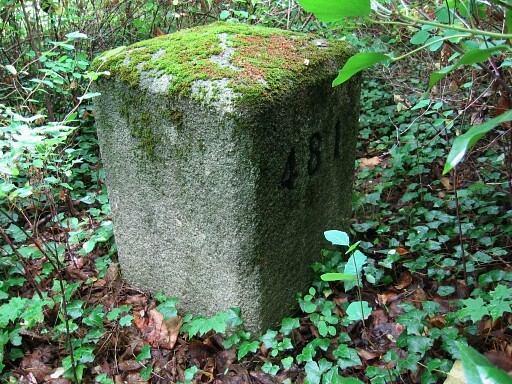 Bm482, French side. 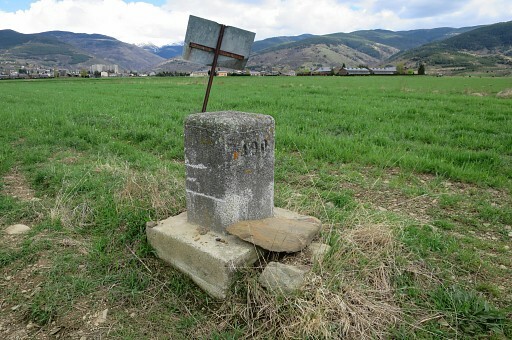 This is the original bordermarker, now stored on the premises of the French customs in Bourg-Madame. 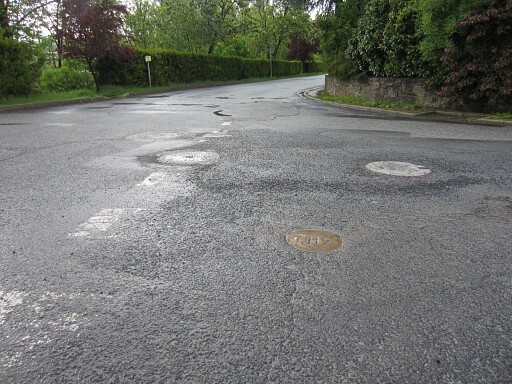 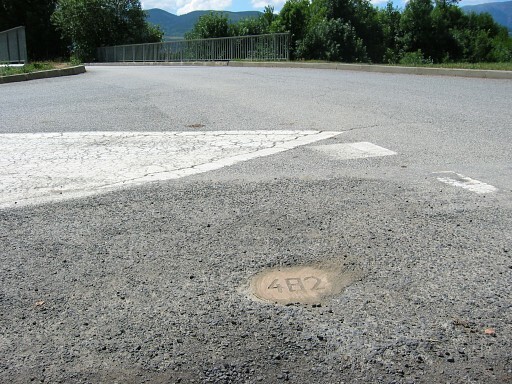 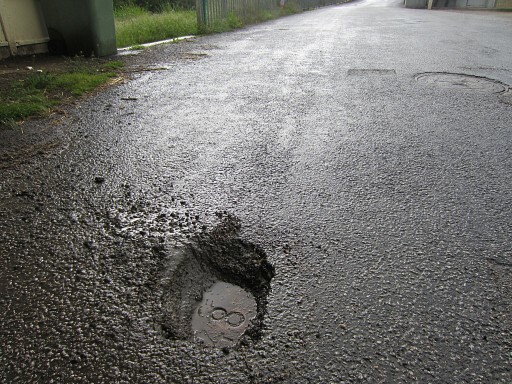 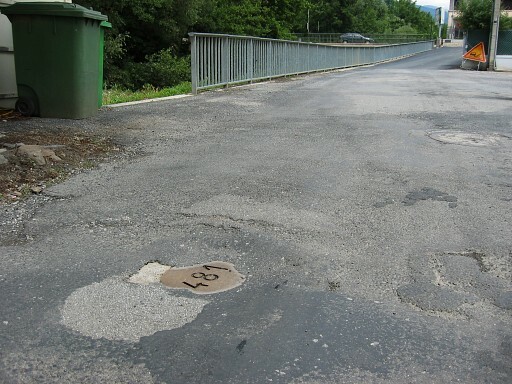 In 1996 - probably when the road was constructed - this replacement-plate was put on the original spot.